1. In the early 1900s, American farmers sold eggs through the post? They sent eggs, numbering six to as many as 72, in metal cases. 2. The flu vaccine was first cultured in a fertilised chicken egg in 1931. 3. Chickens are omnivores. Besides seeds and insects, they will also eat small prey like mice and lizards! 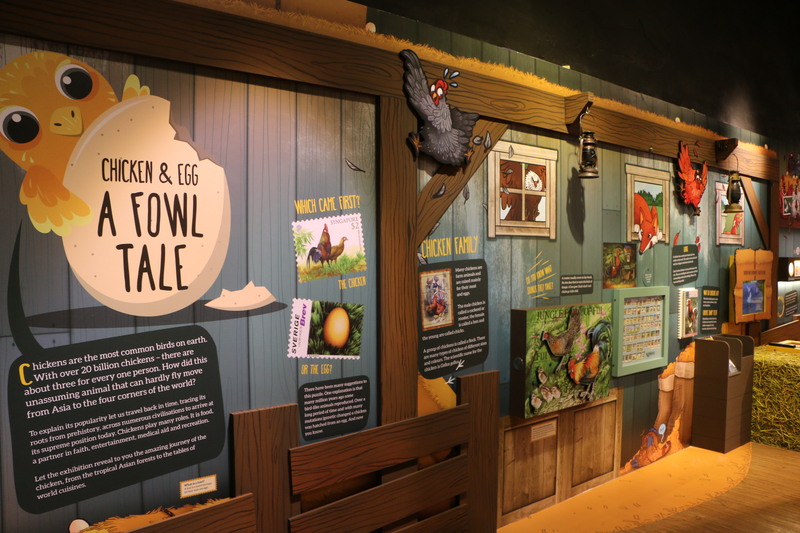 Celebrate the year of the Rooster, the tenth animal in the zodiac cycle, with a family-friendly exhibition tracing the roots of the chicken from prehistory, across numerous civilisations, to its position today. The chicken, a favourite in cuisines all over the world, also plays other roles – a partner in faith, entertainment, medical aid and recreation. This exhibition features about 200 stamps, dating from 1962 to the latest zodiac rooster stamps from Singapore and the Åland Islands, as well as fun hands-on exhibits. Discover the amazing journey of the humble chicken, from its early home in the Asian tropical forests, to the dining tables of the world! Where to Go During Chinese New Year 2018?